A recent email from Edward G. Huang, student advisor to the UC regents, was circulated to UC campus newspapers and student leaders to highlight a recent move to end the student advisor pilot program, originally created in 2016 to provide better undergraduate student representation on the UC Board of Regents. This is one of only three such positions, along with the Student Regent and the Student Regent Designate, which provides a seat within the Board of Regents for students to participate in the decision-making process. After a vote to terminate the position, student leaders met to show support for the program, which overturned the board’s initial decision. However, according to the email, the University of California Student Association (UCSA), “voted to support ending the Student Advisor position in exchange for more UCSA-controlled student roles at Regents meetings.” Much of the information regarding this matter is available on several Youtube videos showing the regents’ meetings Jan. 17 and Jan. 23 when this decision was discussed and made. Huang suggested that UCSA is bargaining with the regents outside of the purview of student leadership. 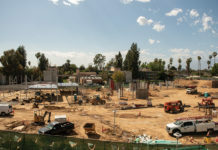 “The UCSA decision to support the sunset was last-minute, made behind closed doors, and lacked consultation with other student leaders that were concerned about the issue,” he wrote to the Highlander. During the Jan. 23 meeting, Huang expressed concerns that student leadership positions on this matter were inaccurately represented during the meetings and urged regental leadership to extend the program. Michael Skiles, co-chair of the UC Council of Presidents and doctoral candidate at UCLA, also expressed concerns to the Highlander. “In losing the Student Adviser position, the students are losing their most significant representation to the Regents aside from the student regent,” he wrote. When asked for comment, The UC Office of the President directed the Highlander towards the Youtube videos of the meetings for all relevant information. During those meetings most members agreed with Student Regent Devon Graves, who supports sunsetting the position in favor of alternative student roles. According to a letter to the community from UCSA, the student advisor position did not actually create better student representation. 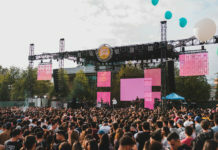 “UCSA believes that instead of renewing a position with limited success so far, the UC Board of Regents can instead increase genuine and effective communication with student representatives by expanding positions that have been more beneficial to students, including roles such as Committee Observers and Student Advocate to the Regents (StARs).” it read. UCSA has suggested that these positions, StARs and Committee Observers, would be more beneficial in terms of effective student representation. In a letter opposing the decision sent to the board by Huang, he details reasons for why the debate over the Student Advisor position was unfair and how the process for evaluation did not take place as intended, as well as highlighted the successes of the position over the past two years, contrary to the UCSA letter which suggested the position garnered little success. 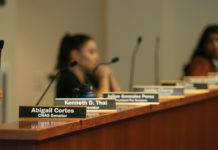 Huang’s and other student leaders’ positions, including Skiles, are that a lack of transparency and political motives drove this decision which undermines student representation on the Board of Regents. The UCSA and Regental leadership have expressed the position that expanding other student roles, notably without direct impact on decision-making, would be more beneficial for student representation. Skiles feels that this logic is flawed, however. “So rather than one student with a lot of access to represent students, we’ll have more students but with less access,” he wrote.